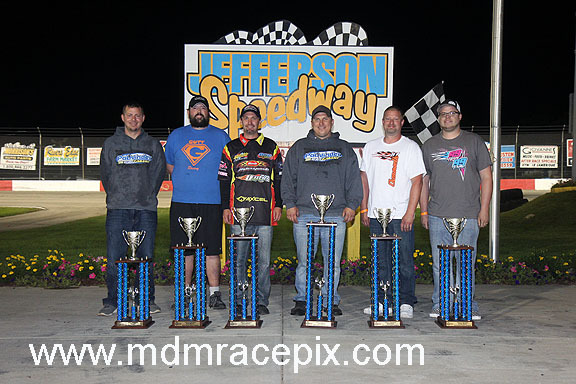 JEFFERSON, WI (Saturday, May 16, 2015) Two time Jefferson Speedway Late Model champion, Casey Johnson of Edgerton, charged to the front of the pack on Saturday night to claim victory in the Stoddard’s Meat Market 50 lap main event. 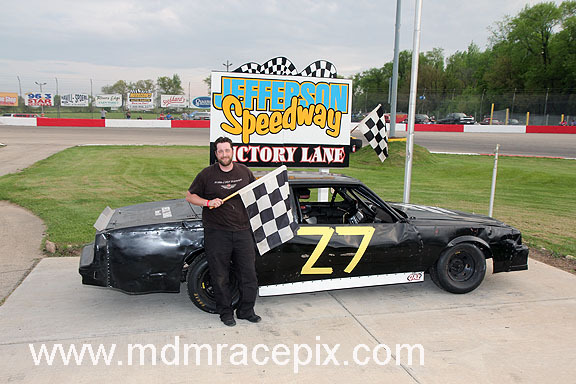 Starting on the outside of row six, Johnson methodically picked his way to the front of the field for his first win of 2015. 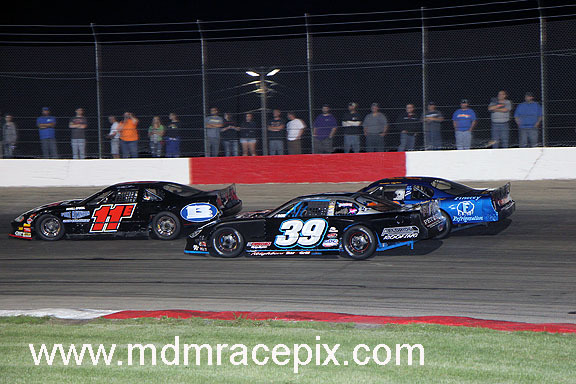 Tyler Peterson and Craig Phillips paced the stacked field of competitors to the drop of the green flag. Phillips led lap one by a nose with Peterson hanging tough to his inside. 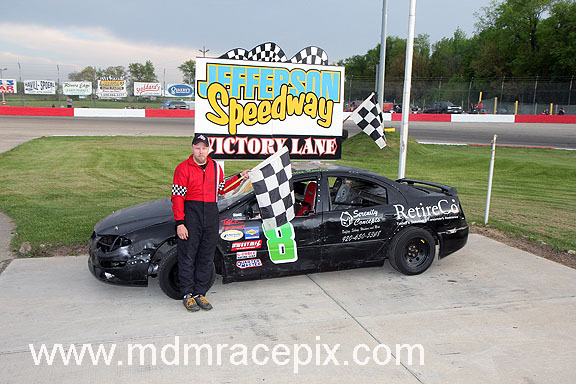 Peterson grabbed control of the point on lap two with Chris Quam filling the gap under Phillips as they fought for second. Quam slipped past Phillips and tried to draw even with Peterson at the front. By lap four, Quam and Peterson were side by side. A lap later, Quam slid into the lead with Luke Westenberg in tow for second. A caution on lap 13 slowed the pace when Bruce Lee spun down the backstretch. Quam led the pack back to green followed by Westenberg, Michael Grueneberg and Peterson. Johnson entered the top five on lap 21 while the leaders bumped and banged for position. Grueneberg and Noel Ramge battled for third with Johnson watching from fifth. When Grueneberg regained the third spot, Johnson motored under Ramge to steal fourth. 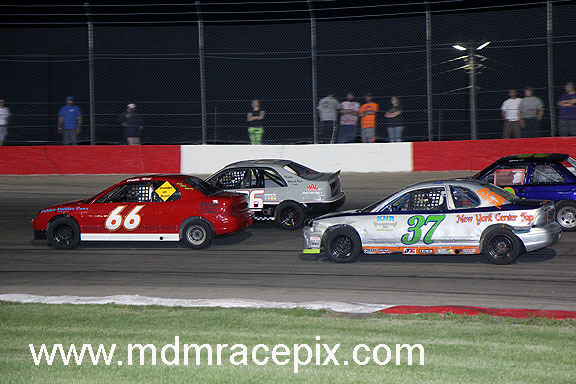 On lap 31, Johnson pulled alongside Grueneberg for third, clearing for the position on the exit of turn four. 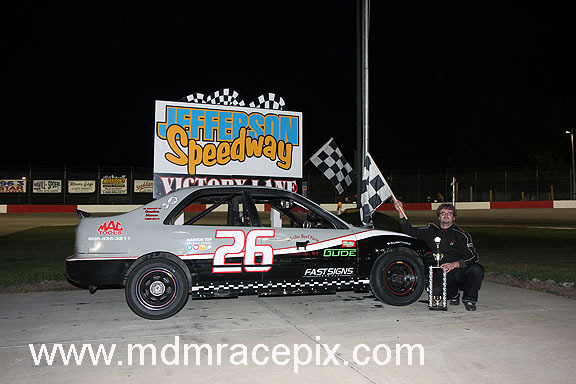 Johnson continued to surge to the front, stealing the second spot from Westenberg on lap 37. Johnson set his sights on the leader, Quam, catching him with 12 laps to go. Johnson dove under the leader as they entered turn three on lap 39. 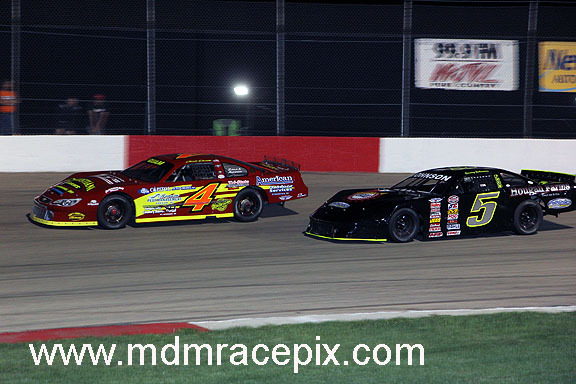 After a brief side by side fight, Johnson moved out front and quickly began to pull away. 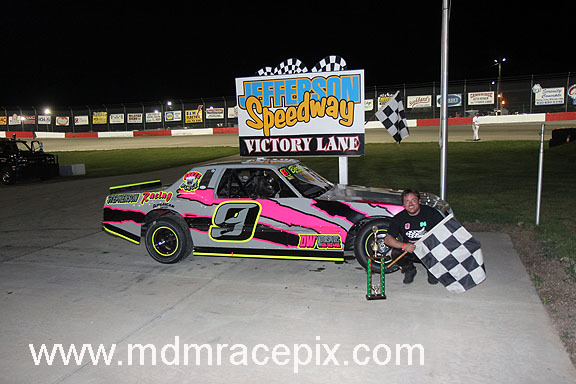 At the checkers, it was Johnson for the commanding victory followed by Quam, Grueneberg, Westenberg and Ramge. 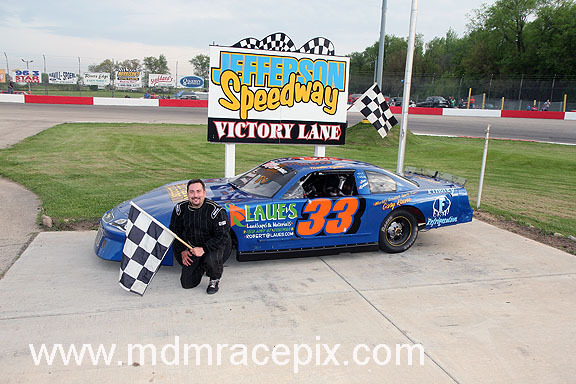 In Sportsman action, Whitewater’s Jay Kalbus captured the 30 lap feature event. 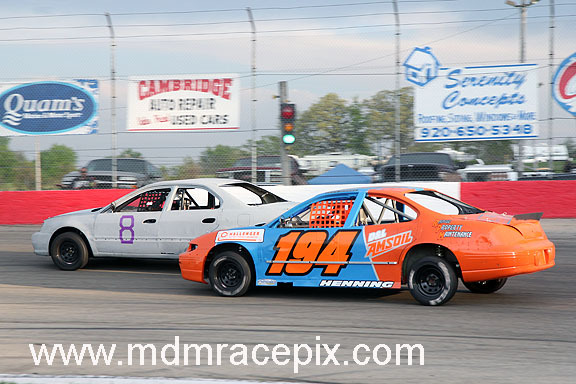 Jason Kubicz and Russ Nicholson brought the field to green as they battled wheel to wheel for control. 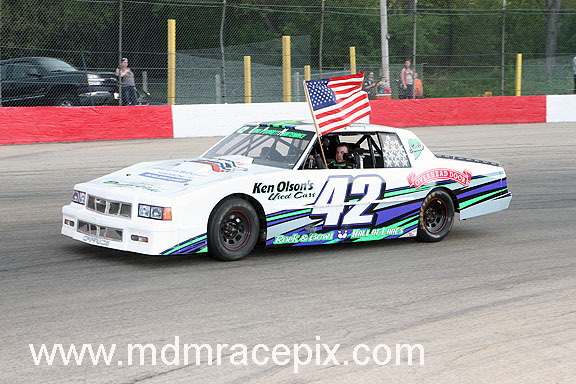 Kubicz held the advantage at the completion of lap one, but Nicholson fought back to grab sole possession of the lead on lap three. Kalbus followed into second as the top two began to break away from the field. 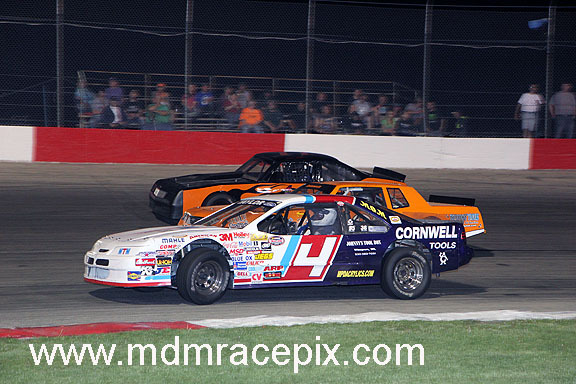 Tim Coley moved into third on lap seven followed by Terry Wangsness for fourth. 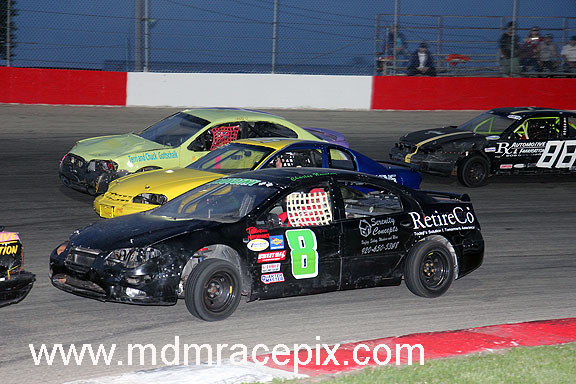 Kalbus made his move for the lead on lap nine as he drove under Nicholson exiting turn two. Kalbus claimed the top spot on lap 11 with Wangsness up to third. Wangsness got past Nicholson for second on lap 14 with Jason Thoma in his tracks for third. After a caution on lap 19, Wangsness and Thoma made contact resulting in Thoma experiencing a flat right front tire to bring out a second yellow flag. 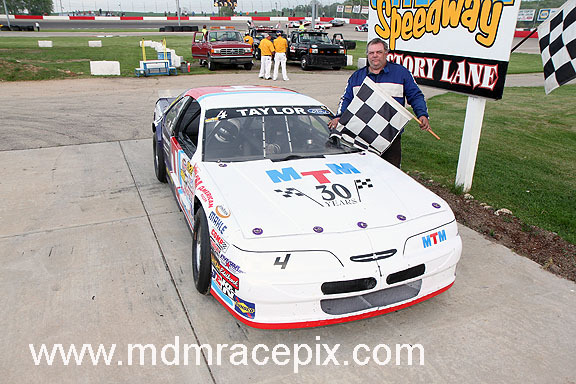 As racing resumed, Kalbus remained in control all the way to the checkers for the win. 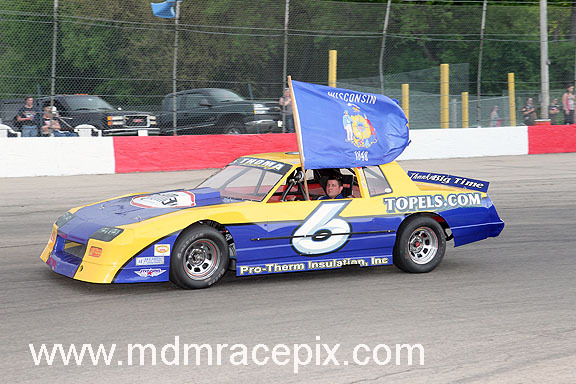 Wangsness, Tony Ciano, Mark Deporter and Nicholson rounded out the top five. 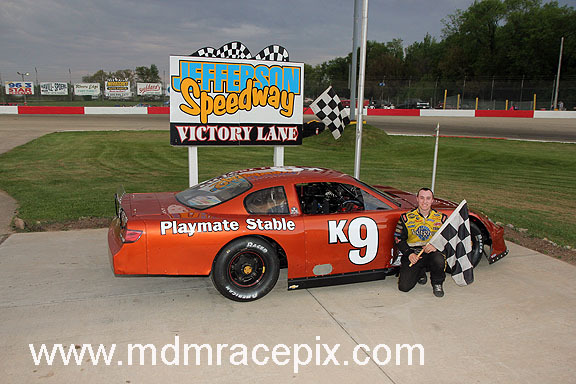 Madison’s Mike Lambert used a late restart to grab the lead and hang on to win the 20 lap International feature event. After an early caution on the opening lap, Dan Birkett took the early lead with Jason Uttech in second and Neil Higgins up to third. On lap six, Higgins drove under Uttech to claim second and set his sights on Birkett at the point. Higgins drew even with Birkett on lap seven, clearing for the top spot two laps later. 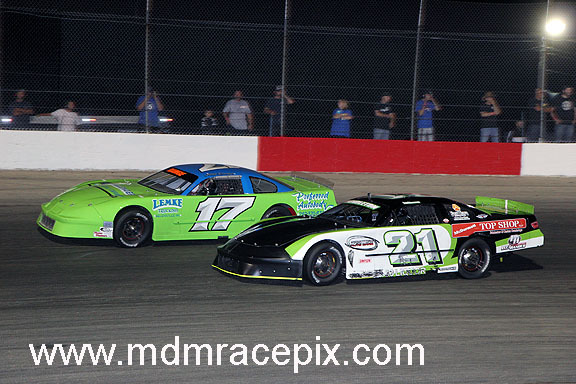 Lambert moved into the second spot just before the caution waved on lap 13. 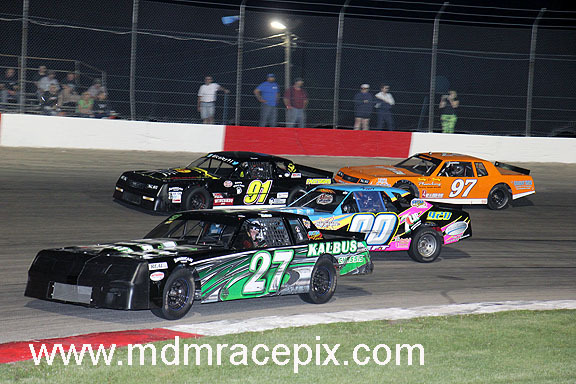 Higgins and Lambert led the field back to green with Lambert gaining the advantage through turns three and four. One more caution with four laps remaining set up another battle between Lambert and Higgins, but Lambert took control once again to grab the win. Higgins finished second followed by Seth Reamer, Birkett and Joe Cross. 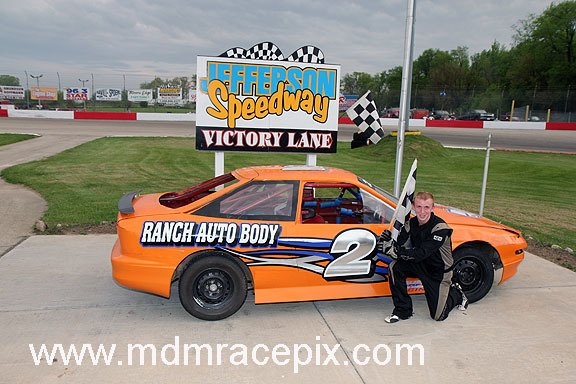 Waterloo’s Dustin Ward took the lead late in the 25 lap Hobby Stock main event to claim his second feature of the season. 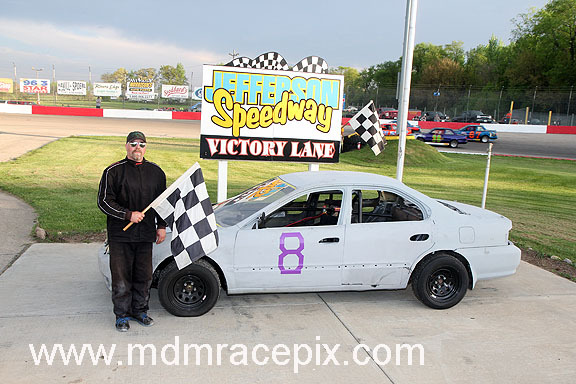 Jeff LeFave took the lead from the outside of row one with Wayne Buchs still flanking his inside. 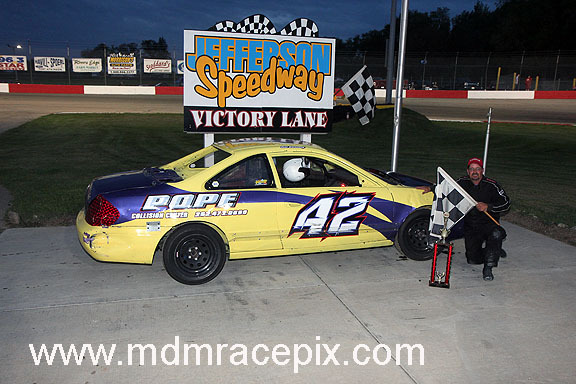 Buchs battled back to draw even with LeFave as the field lined up two by two. 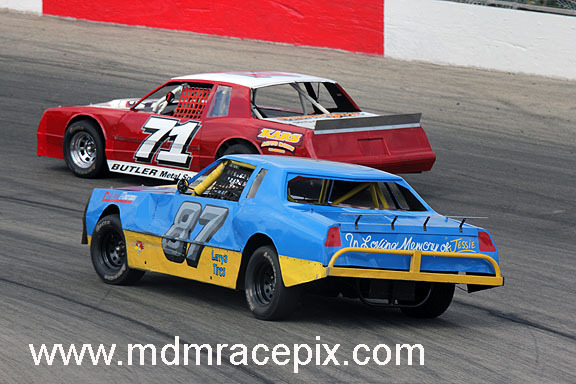 LeFave and Buchs continued to fight for position with LeFave inching forward lap after lap. LeFave finally cleared for the lead on lap 14 with Ward and Boyd Eichelkraut fighting for third. Ward claimed the position on lap 16 and quickly drove to the high side of Buchs looking for second. By lap 18, Ward was in possession of second and still moving forward. 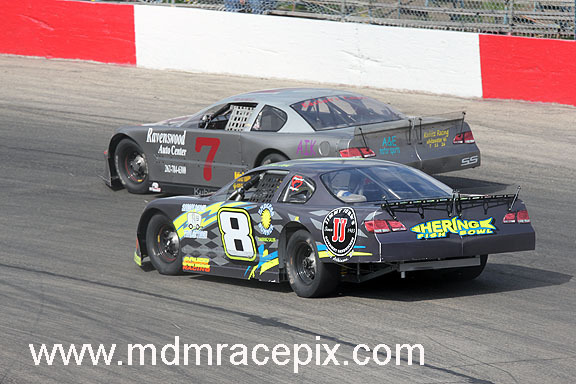 With six laps left, Ward again used the outside groove to pull alongside LeFave at the front. Ward cleared for the lead as they raced through turns three and four. 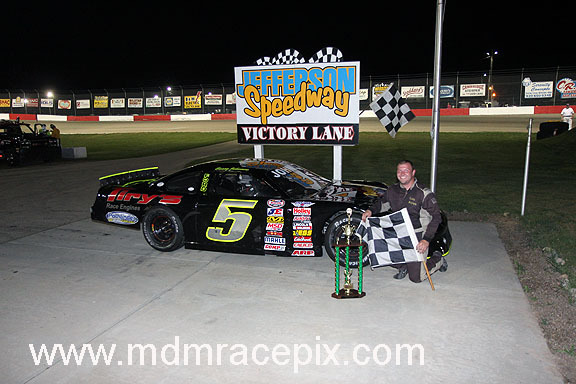 Bobby Selsing Jr followed into second, but Ward had the field covered as he cruised to the stripe for the win. Selsing was second followed by LeFave, Buchs and Eichelkraut. 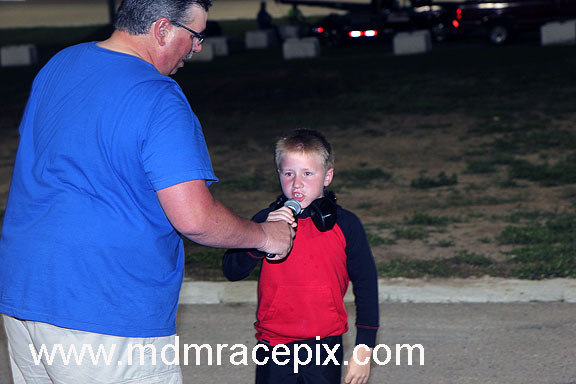 Bill Sweeney of Aztalan captured his second consecutive feature win by claiming the 20 lap Road Warrior main event. Jordan Lamb and Lucas Stephenson made up row one at the start. 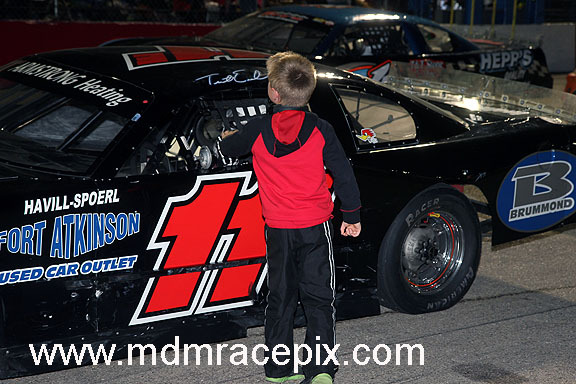 After a caution on lap two, Stephenson experienced problems forcing him to retire from the event. 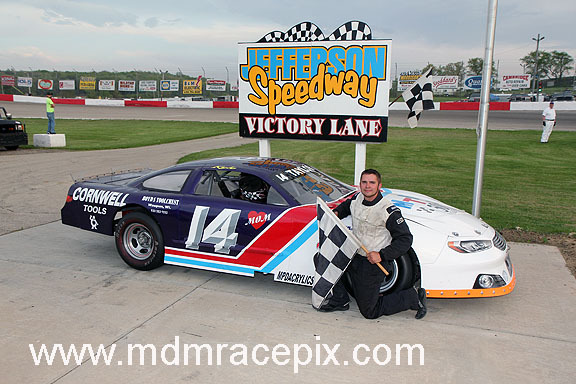 Don Mattrisch emerged with the lead while Bryan Gottschalk moved into second. Gottschalk went to work on Mattrisch with Sweeney now up to the third spot. Gottschalk took charge of the point on lap four with Sweeney in tow for second. Sweeney quickly made his move for the lead, driving under Gottschalk on lap five. 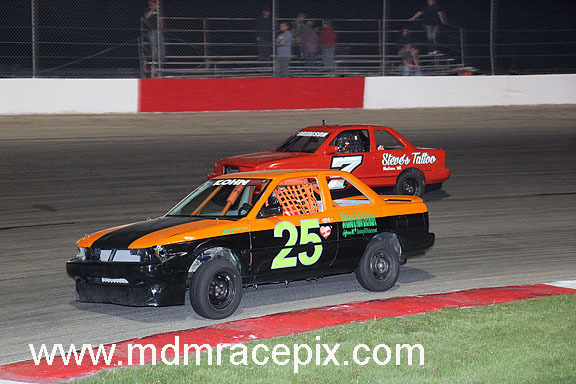 After making contact entering turn one, Sweeney grabbed the lead and began to pull away. 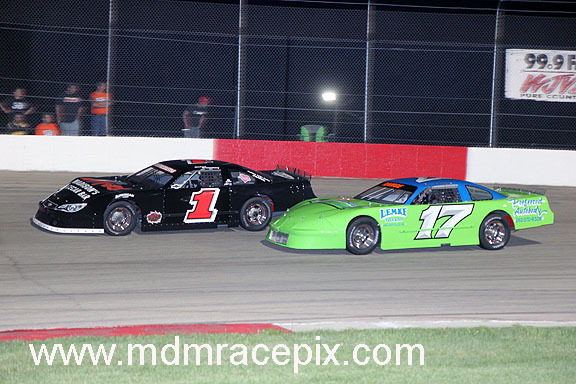 Chris Gottschalk joined his brother in a fight for second as the laps dwindled. 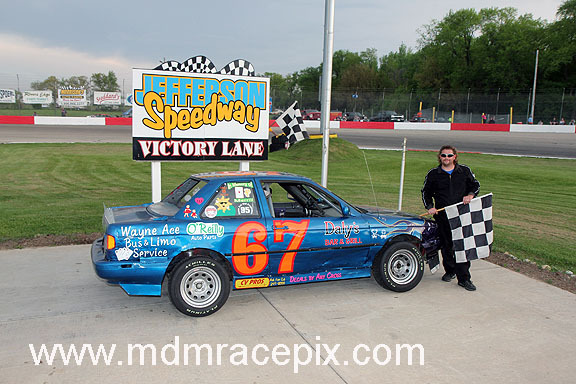 At the checkers, it was Sweeney for the win with Bryan Gottschalk holding off Chris Gottschalk for second. 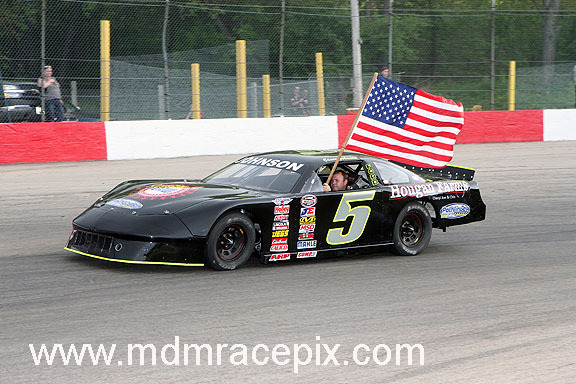 Rounding out the top five were Kenny Storkson and Craig Henning. 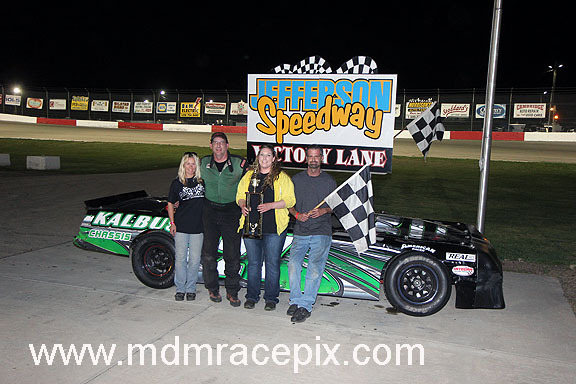 Madison’s Jamie Kohn grabbed the lead late in the 20 lap Bandit feature to claim his second win of the 2015 campaign. Brody Chilvers and AJ Hill brought the field to green. 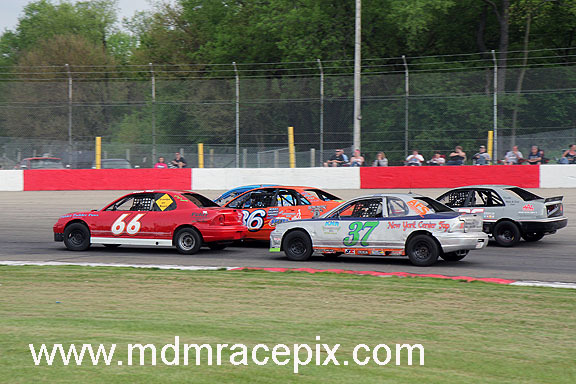 On lap one, Tyler Deporter joined them to create a three wide fight for first. 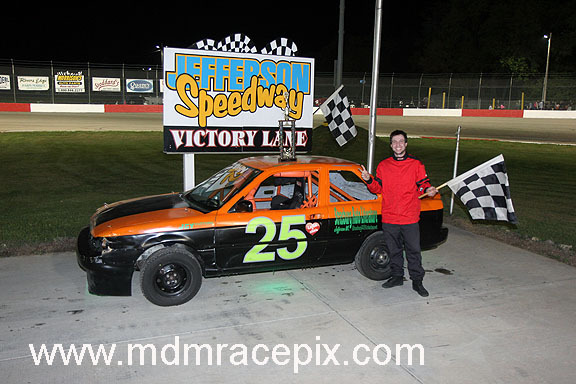 Deporter emerged with the lead on lap two with Josh Marx up to second. 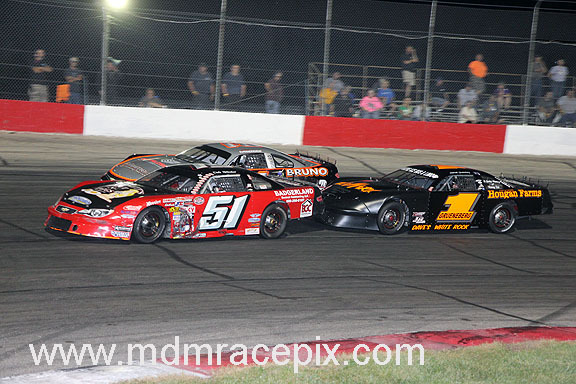 Marx began to apply heavy pressure to Deporter for the top spot while Chad Olds and Dustin Yanke moved toward the front. On lap seven, Marx got under Deporter as they fought for the lead. Yanke used the bottom groove to set up another three wide battle for the top spot on lap 11. This time, Yanke took control with Kohn following him into second. Kohn began looking under the new leader on lap 13. 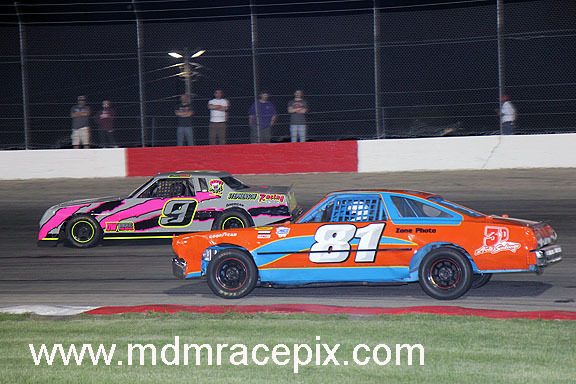 A lap later, the two were side by side with Kohn taking the lead exiting turn four. 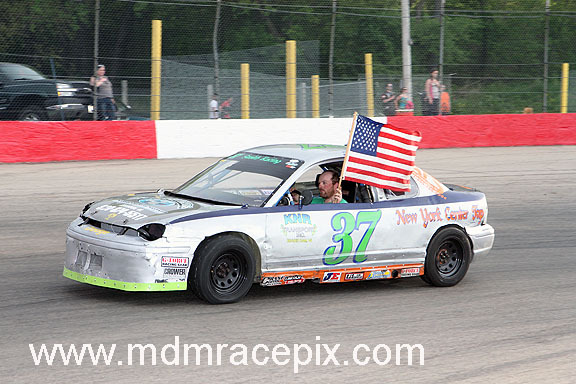 Kohn didn’t look back as he drove off to get the win. Yanke was second followed by Olds, Marx and Jeremy Bredeson. 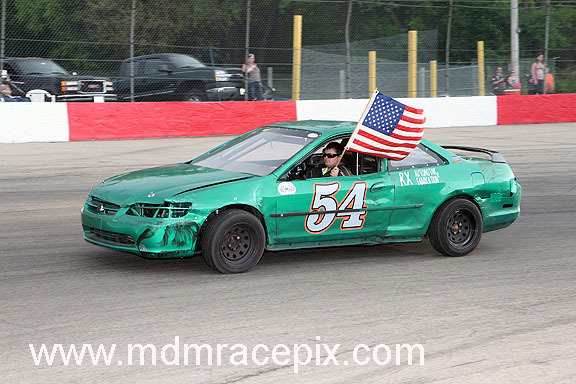 Next Saturday, May 23, is a full program in all division sponsored by Newville Auto Salvage. 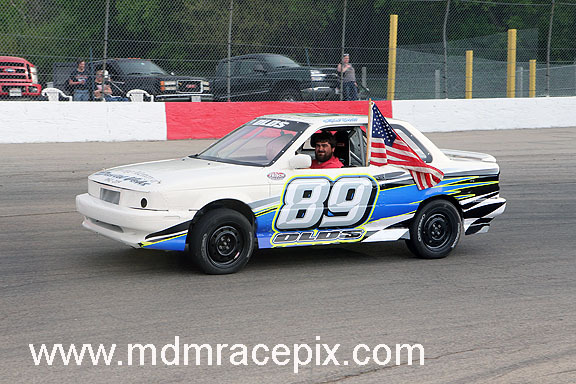 Time trials begin at 5pm with racing at 7pm. 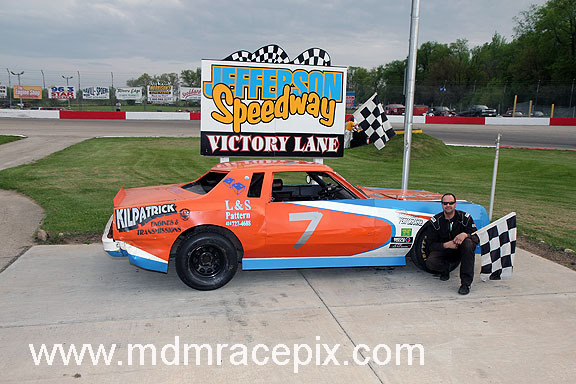 Jefferson Speedway plays host to round 1 of the Tournament of Destruction on Sunday, May 24, sponsored by The Radio Doctor. 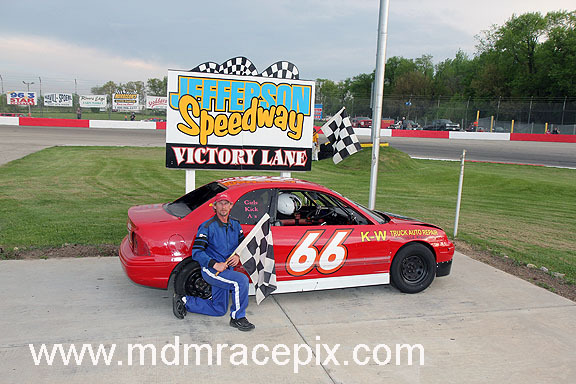 Jefferson Speedway is located halfway between Jefferson and Cambridge on Hwy 18. 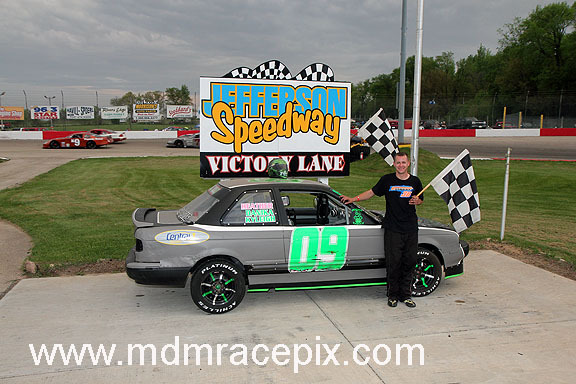 Please visit www.jeffersonspeedway.com for more information. Rain and possibly a thunderstorm. High near 69. North wind around 10 mph. Chance of precipitation is 80%. New rainfall amounts of less than a tenth of an inch, except higher amounts possible in thunderstorms.